The interior casework of our US made RTA cabinets includes all of the interior surfaces and support pieces that are not visible when the doors and drawers are closed. All material is 3/4" thick and double sided. 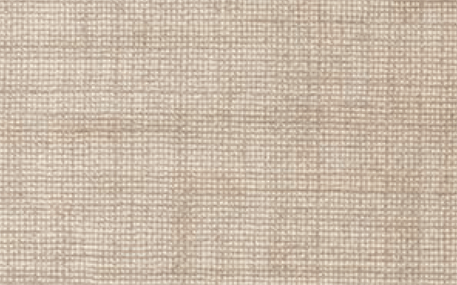 Options include UV cured birch or maple, Linen, and Melamine. 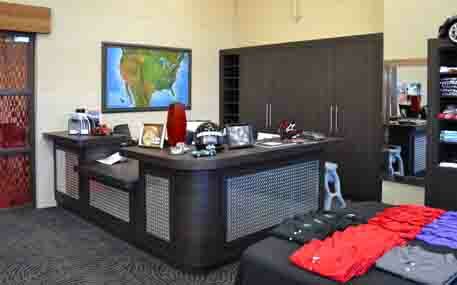 The interior you choose will depend upon your needs and style. 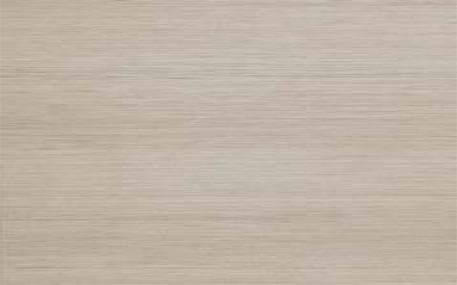 UV cured birch is our standard for kitchen cabinet interiors. Click images below for details. 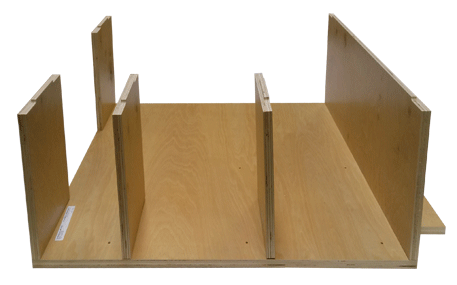 3/4" UV Cured Birch Veneer Hardwood Plywood is used for all casework parts - including the back. Birch plywood is perfect for cabinet casework, as it has a rich sheen, and it gives the end product a nice, elegant finish. 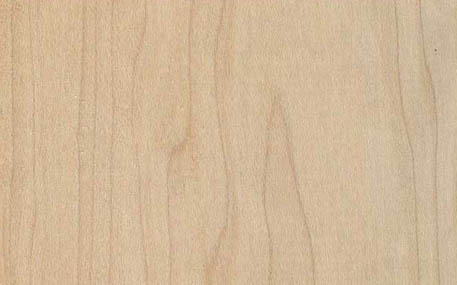 Another advantage of birch plywood is cost: birch plywood is generally about 40% less than maple plywood. 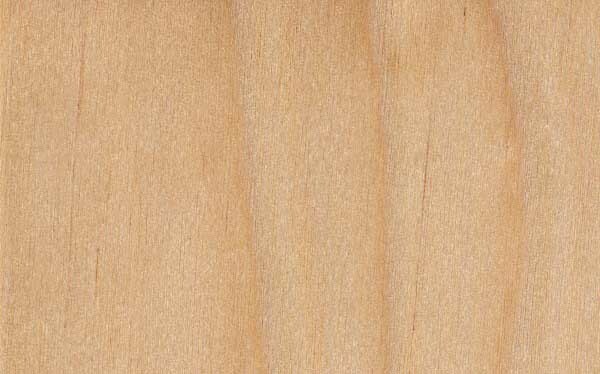 UV Cured Maple Veneer Plywood has fewer imperfections than the standard UV Cured Birch Veneer plywood and has a more desirable grain pattern. 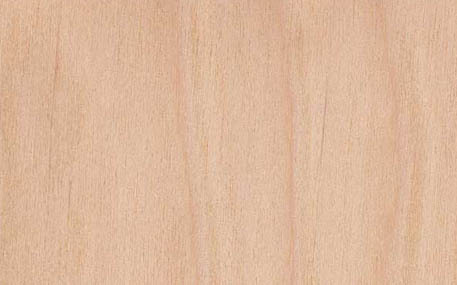 Maple veneer is stronger than birch and will resist dents and scratches better. By-request-only, as the cost is about 40% higher than UV Cured Maple veneer. 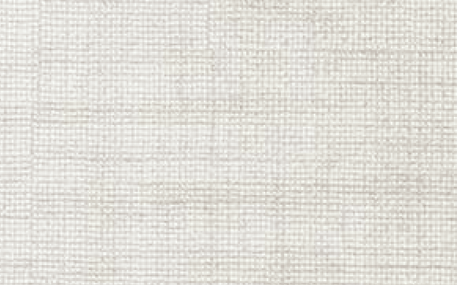 If you are looking for something different, consider upgrading to a linen interior. 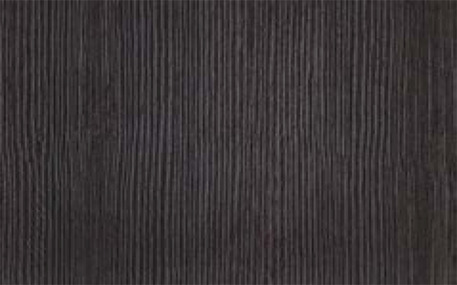 Durable resin textured surface has the look of threaded fibers. Ultra resilient thermo-fused panels resist scratches and dents better than birch or maple UV cured interiors, and feature 13 hour water resistance. Choose from Khaki and Cool Grey for a unique and durable interior look. 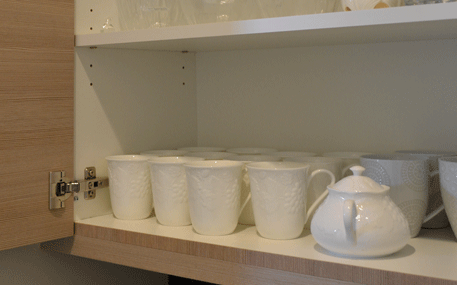 Visible casework is any part of the cabinet that is visible under normal conditions. For example, in case of a glass door or open shelf cabinet we will select the appropriate material and stain or paint to match the cabinet doors and drawer fronts. Theses materials are also used for end panels and toe kick skins. Click images below for details. 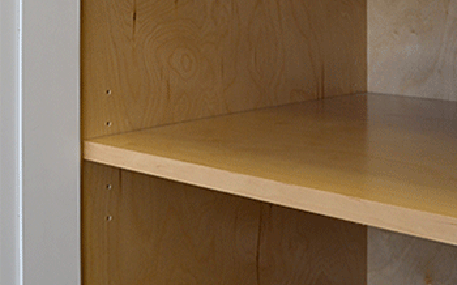 3/4" Unfinished Birch Plywood is used for visible casework material such as end/side panels, fillers and open shelf cabinets where stained birch doors and drawer fronts are featured. 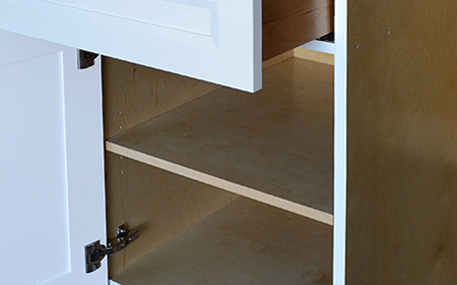 3/4" Unfinished Maple Plywood is used for visible casework material such as end/side panels, fillers and open shelf cabinets where stained birch doors and drawer fronts are featured. 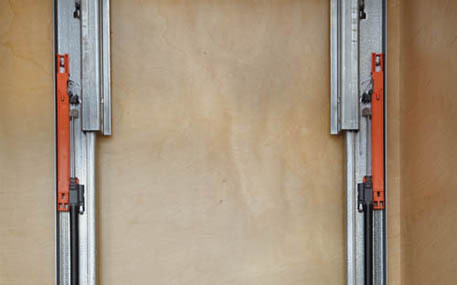 Unfinished cherry veneer plywood is only used for stained panels (end/side panels) and visible casework in applications featuring stained cherry doors and drawer fronts.. 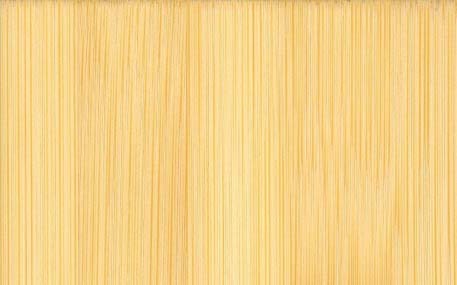 Edge Grain Amber Bamboo is used for visible casework such as glass door or open shelf cabinets as well as doors, drawer fronts, and end/side panels. 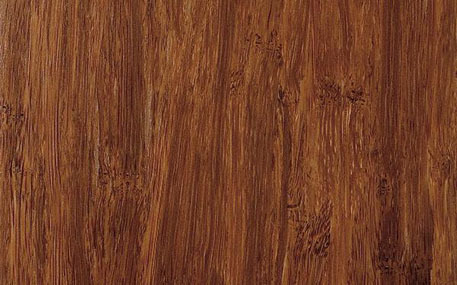 Flat Grain Amber Bamboo is used for visible casework such as glass door or open shelf cabinets as well as doors, drawer fronts, and end/side panels. 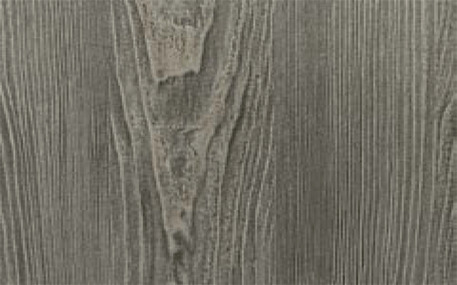 Edge Grain Natural Bamboo is used for visible casework such as glass door or open shelf cabinets as well as doors, drawer fronts, and end/side panels. 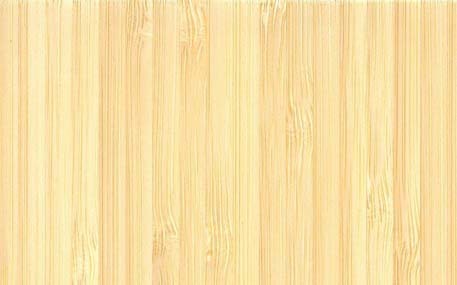 Flat Grain Natural Bamboo is used for visible casework such as glass door or open shelf cabinets as well as doors, drawer fronts, and end/side panels. 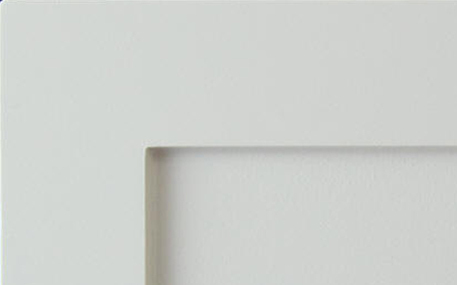 Thermo fused panels have the look and texture of natural wood but without natural wood problems. Natural wood expands and contracts with seasonal humidity cycling. Thermo fused panels will not warp, expand or contract like real wood. It is very durable under regular use and doesn't dent or scratch as easily. 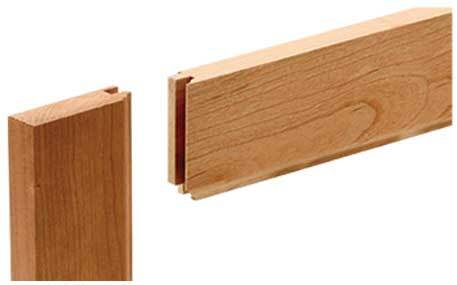 The most common material for doors and drawer fronts is maple. Maple is prized for its hardness and even grain. Birch, Cherry, and other hardwoods are available upon request. 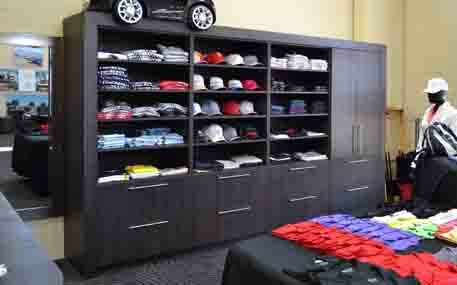 Other options include: Bamboo, Laminates, Thermofoil, and Thermofused Panels (Metro Collection). All solid wood doors and drawer fronts or other visible casework material can be delivered unfinished, painted or stained. All painted or stained doors, drawer fronts, and visible casework material are finished with a two step clear coat. 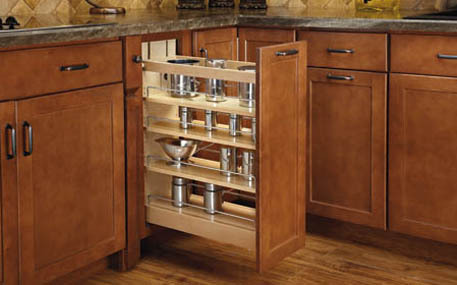 Styles include shaker, raised panel, and flat or slab. Click images below for details. 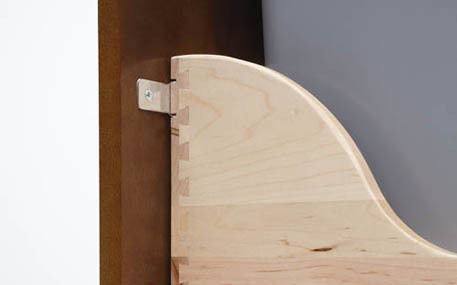 Our standard door and drawer joint is the cope and stick for both paint and stain applications. The joint is less prone to movement with seasonal humidity changes which means hairline fractures in the paint are less likely to appear over time. 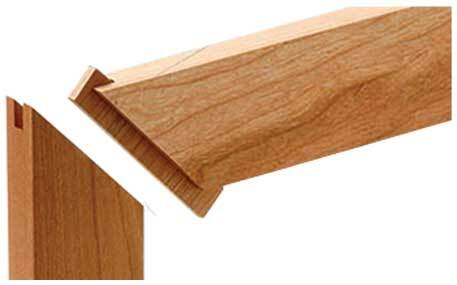 Mitre and Spline joints are commonly used in stain applications where the 45 degree joint is considered aesthetically pleasing. This joint is only used when specifically requested as it is more prone to movement due to seasonal humidity cycling. 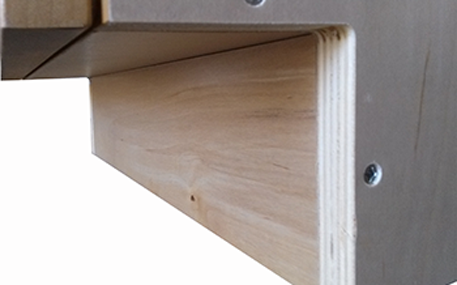 The joint is longer than a cope and stick joint and that extra length adds to the movement resulting in fractures in paint or visible separation in stain applications. Paint grade maple is the standard for our painted doors and drawer fronts. Imperfections such as mineral streaks and knots are covered and do not affect the finish. 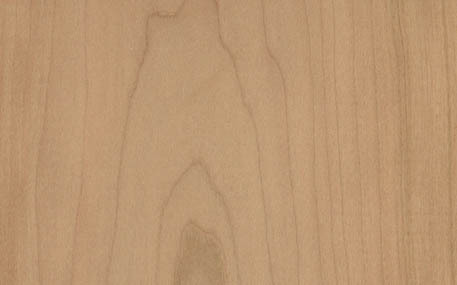 For staining applications Select Grade Maple is the most common material choice. 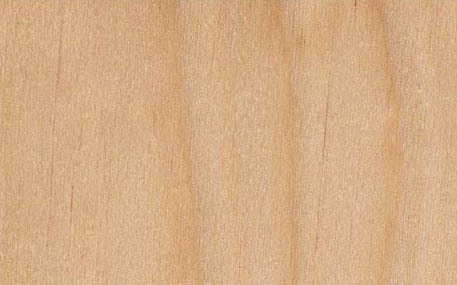 Maple has a smooth even grain and its hardness helps resist dents and scratches. The cost is generally about 40% less than cherry. 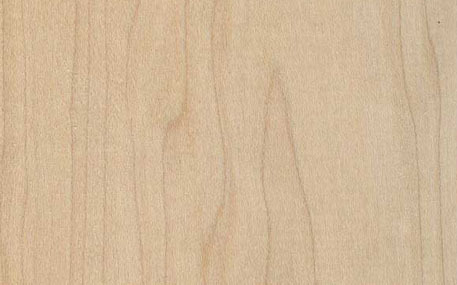 Maple's hardness means it does not absorb as much stain as cherry, this leads to a lighter overall finish. 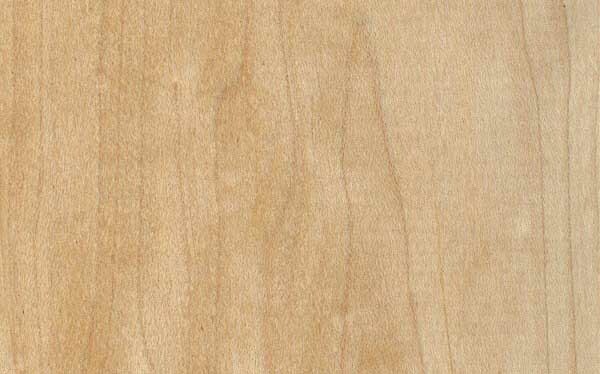 Because of maple's hardness and lighter hue, the same color stain will appear vastly different when applied to a different material like cherry. 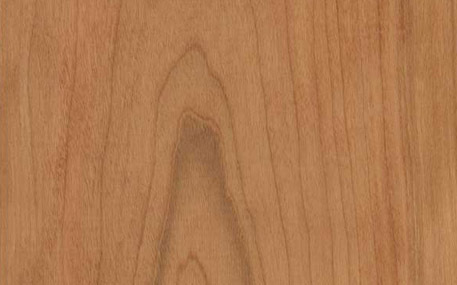 Cherry has a smooth dark grain pattern and natural red hue which may darken over time. 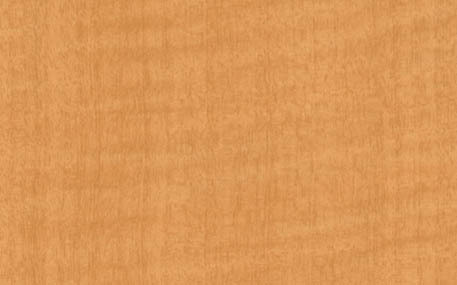 Softer than maple, cherry absorbs more stain, this leads to a darker overall finish that is more consistent than maple. 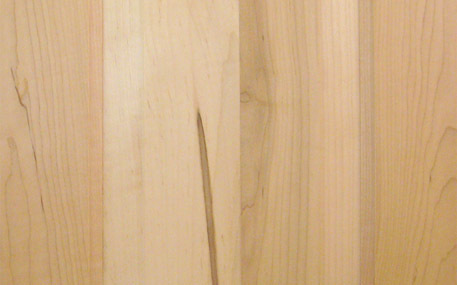 Considered a premium hard wood, cherry is generally about 40% higher per square foot than maple. 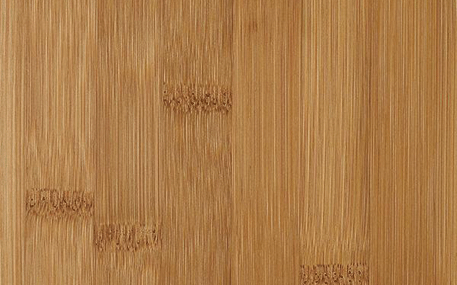 Bamboo is available in Edge, Flat, or Stranded grain. Colors are Natural or Amber, however, stain may be applied to change the natural color. 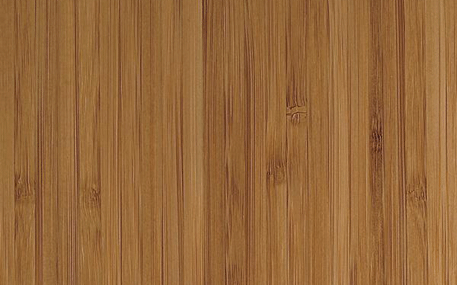 Dense and naturally water resistant, bamboo is an excellent and resilient material choice for doors and drawer fronts. 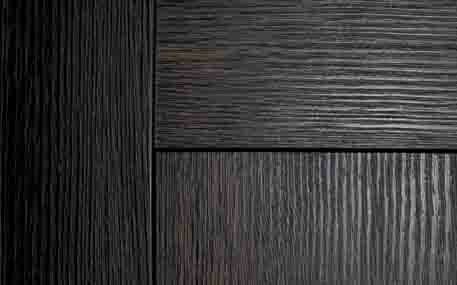 Laminates are widely used in modern kitchen design as well as commercial application. The resilience and low cost of this material make it an excellent choice for both residential and commercial use. 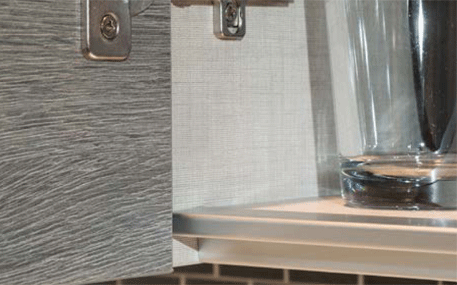 The variety of styles and textures are almost limitless, however, laminates are only available in flat/slab door and drawer front configurations. 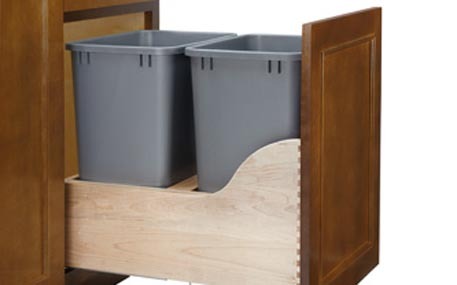 Thermofoil is a common low cost choice, though limited in style choices, thermofoil doors and drawers are available in slab, raised panel, or shaker styles. 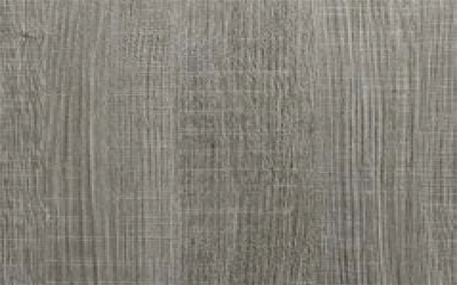 The textured finish is available in slab or shaker styles and a variety of colors. 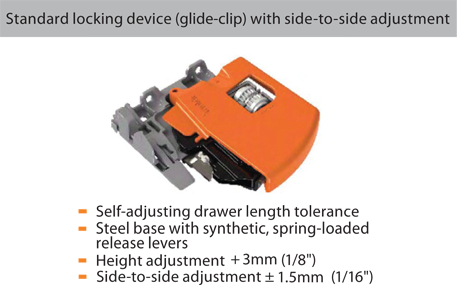 Blum is the standard supplier for all of our drawer glides and hinges. We believe Blum's quality and lifetime warranty are unmatched in the industry. Other options, such as side-mount ball bearing glides, are available upon request. 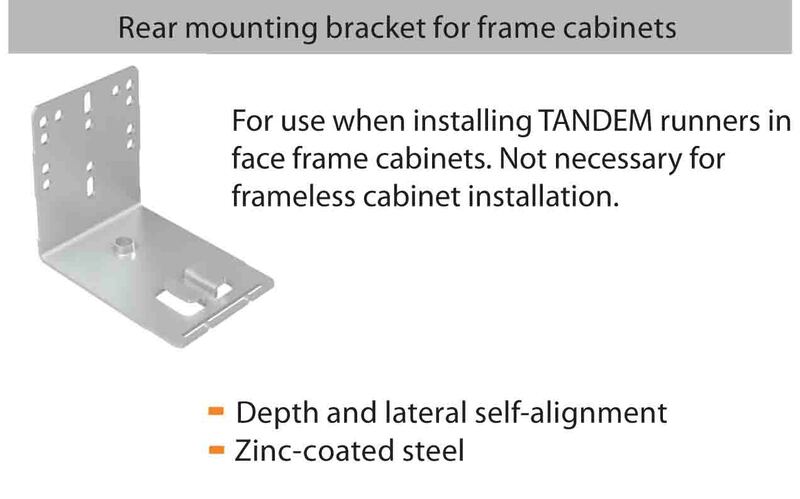 The only hardware that is required for assembly of our US made cabinets are the assembly screws. Click images below for details. 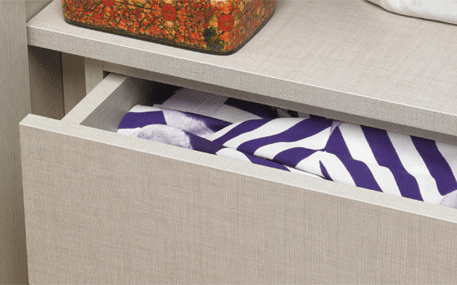 Blum TANDEM 563H undermount soft close glides are the standard glide for all of our drawers. 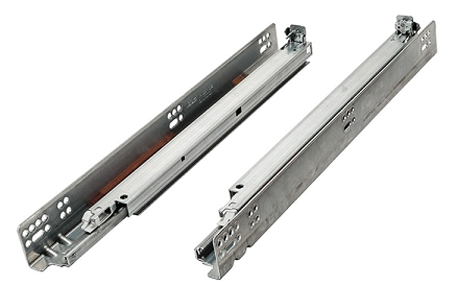 Made in the USA, these full extension glides are concealed under the drawer box and used for face frame or frameless applications. BLUMOTION soft close feature with 100 lb. static load capacity and lifetime warranty. 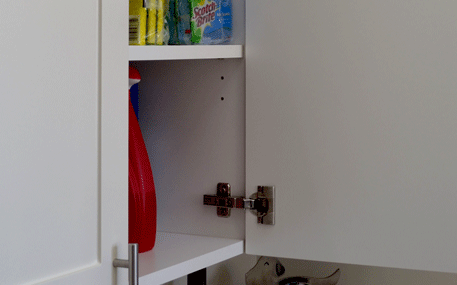 Silent and effortless, that's how cabinet doors close with Blum hinges. The 110+ soft closing hinge is all metal and nickel plated. 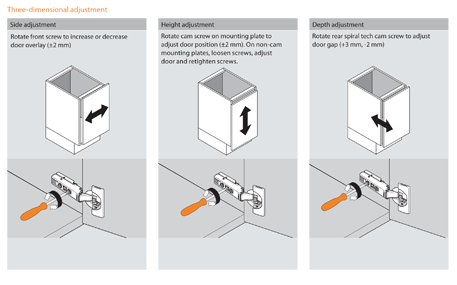 Hinges adjust side to side, up and down, and in and out for depth. 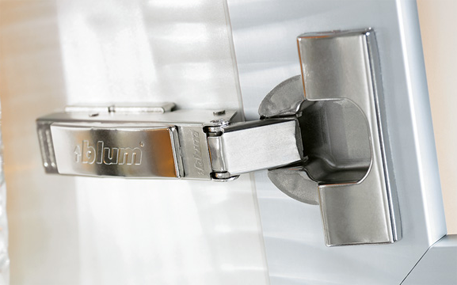 Tried and tested, Blum hinges feature a lifetime warranty. Available in double 35 qt. and double 50 qt. 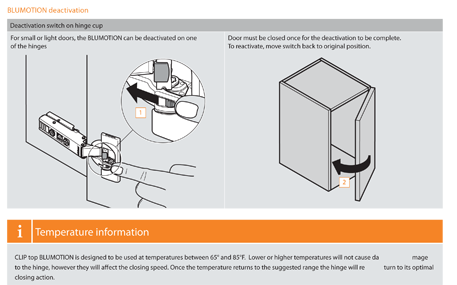 configurations with heavy duty Blum TANDEM undermount soft close glides. Blum glides have 100 lb. static load capacity and lifetime warranty. 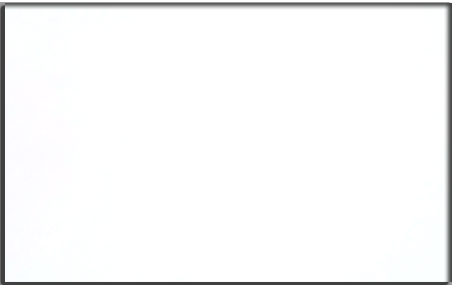 Featuring Blum undermount soft-close glides. Available for 9",12" and 15" full height applications. Adjustable shelves.